The new "T" series 36" portable/cart grills feature a push-to-light piezo ignition system that eliminates the need for electricity or batteries. 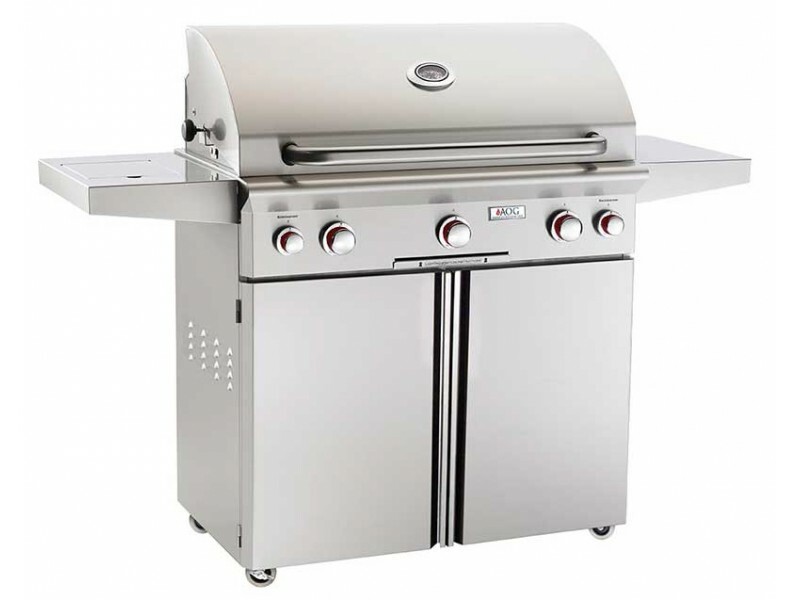 This results in a self sufficient grill with a clean looking front panel. AOG Ignition Systems and accessories 1 Year - includes side burners, motors, and thermometers. Excludes batteries.